The Cherokee Canyon Trail concept most noticeably got a unique paint scheme. 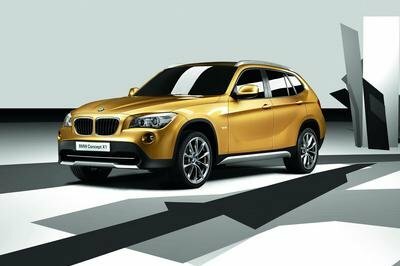 The body is covered in a bespoke Desert Tan color that’s accented by a Satin Black hood and matching wheels. 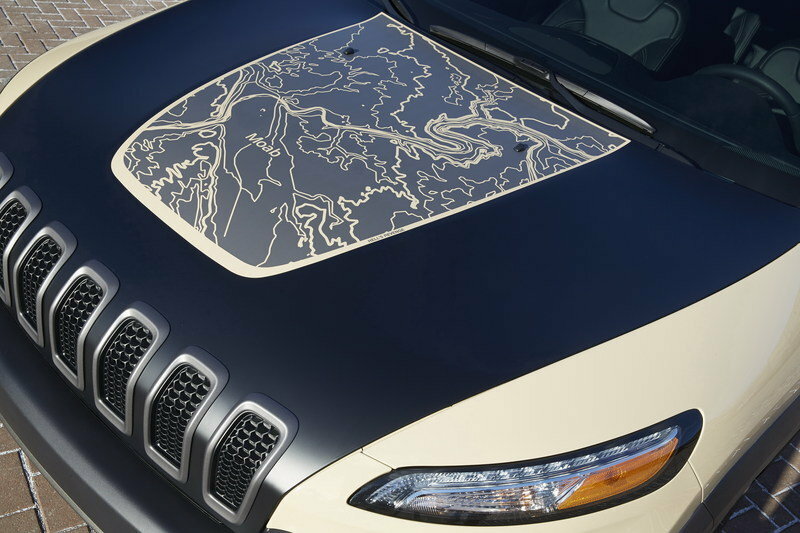 The hood keeps with Jeep’s vogue topographical styling by using an outline of Hell’s Revenge, a well-known trail in the Moab desert. As mentioned before, those 17-inch wheels are one-off prototypes designed to gauge fan feedback. From the looks of things, Jeep won’t have any question on sending these satin black rollers into production. Wrapping the wheels are a set of BFGoodrich All-Terrain T/A tires. They not only provide greater traction, but lift the Cherokee a half inch over its stock ride height. Around its rear quarter panel is wrapped the Jeep Performance Parts logo. The gear-like symbol is also visible inside the Cherokee. The JPP logo is embroidered into the headrests with stitching that matches the accent colors found throughout the cabin, most noticeably on the upgraded black leather seats from Katzkin. The exterior sand color also makes an appearance inside on the panels around the HVAC vents that flank the dashboard. A set of all-weather floor mats keep mud at bay while a “Moab Off-road bag” clings to the cargo management system behind the folding second row. The rear cargo space is also protected thanks to a rubberized floor mat. Otherwise, the cabin is stock. 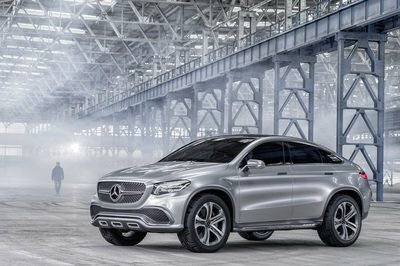 That’s not a bad thing, however, as it comes with the 8.4-inch Uconnect infotainment system, dual zone climate control, a center TFT display in the driver’s gauge cluster, and of course, that turn-dial 4WD system. Jeep engineers didn’t mess with the Cherokee’s greasy bits. However, beyond the stock Cherokee, they added rock rails, a two-piece fuel tank skid plate, a two-piece underbody skid plate, and skid plates for the oil pan and front suspension – all from JPP. 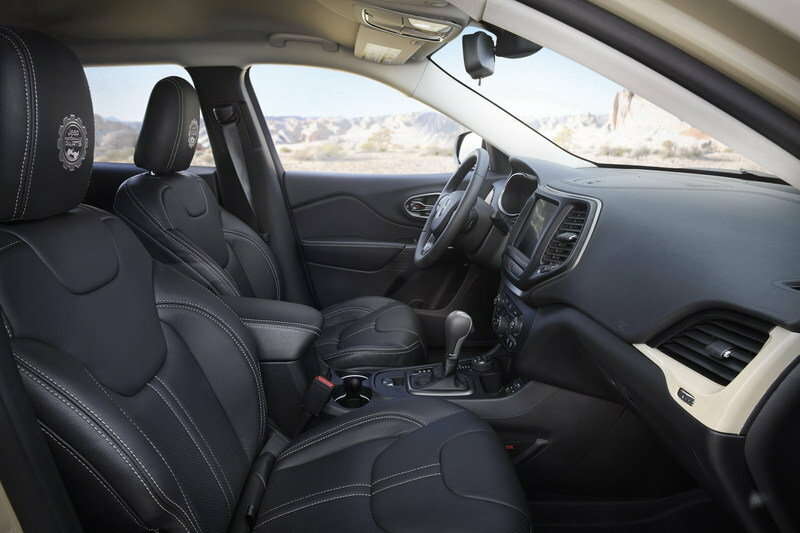 The crossover is still powered by the 2.4-liter Tigershark MultiAir2 four-cylinder The engine makes 184 horsepower and 171 pound-feet of torque. While that doesn’t sound impressive, the Tigershark provides enough grunt to get the Cherokee up and over most obstacles on the trial. Mated to the engine is the Chrysler nine-speed automatic transmission and Jeep’s Active Drive Lock and Selec-Terrain 4WD systems. Technically speaking, Active Drive Lock is more of an AWD system that features a low range. The system is always engaged and distributes power to where it’s needed. 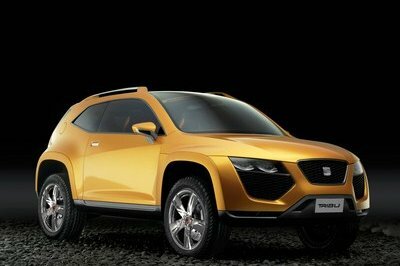 The Selec-Terrain system incorporates a Land Rover-esque electronic system that offers five modes for varying terrain. They include Auto, Snow, Sport, Sand and Mud, and Rock. 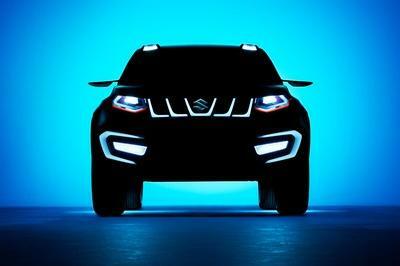 The rear differential also incorporates an electronic locker for tough situations. 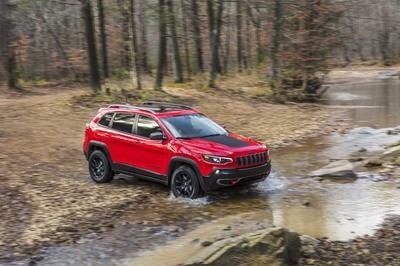 The Jeep Cherokee Canyon Trail concept might not get the most attention in this year’s lineup of Easter Jeep Safari vehicles, but it doesn’t disappoint. Thanks to its wheel and tire upgrade, along with the underbody skid plating and appearance upgrading, the Cherokee Canyon Trail seems ready to live up to its name. It’ll be curious to see how well it holds its own in the Moab desert during the 2015 EJS held March 28th through April 5th. 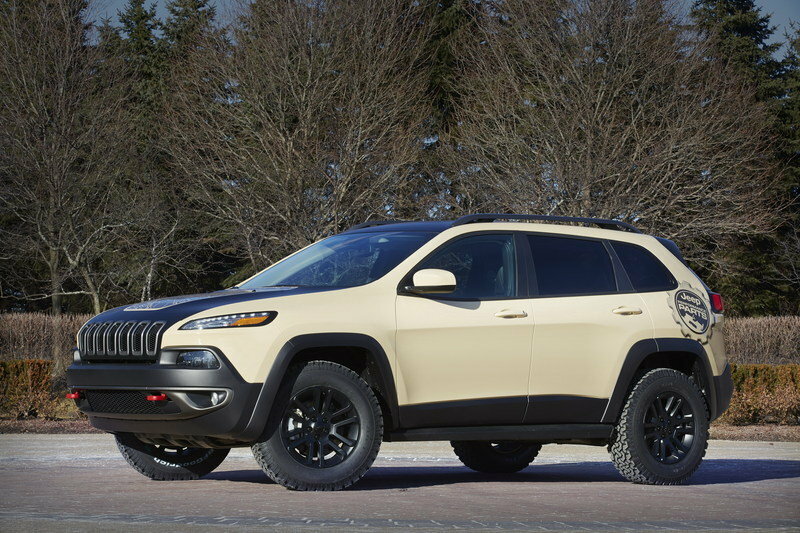 The Canyon Trail concept vehicle is developed from the Jeep Cherokee, Four Wheeler Magazine’s “2015 Four Wheeler of the Year.” In the spirit of that award, the Canyon Trail ups the Cherokee’s best-in-segment capability with Mopar and Jeep Performance Parts specifically designed for even more off-road prowess. 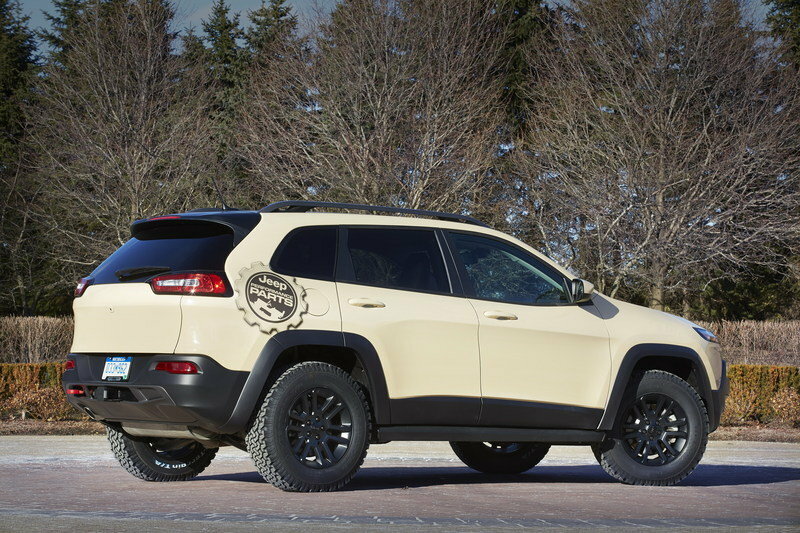 The Cherokee Canyon Trail’s Desert Tan exterior paint is accented with a Satin Black hood that includes a topographical hood decal showcasing Hell’s Revenge, a renowned off-road trail in Moab. The exterior also displays Jeep Performance Parts body decal, Satin Black roof accent colors and the 2015 "Four Wheeler of the Year" decal.